You have decided to work on setting up your very own home wireless network How To Set Up a Wireless Home Network With Just a Mobile How To Set Up a Wireless Home Network With Just a Mobile Read More so that your home computers and devices will be able to access the Internet or anything on your network from anywhere in your home. 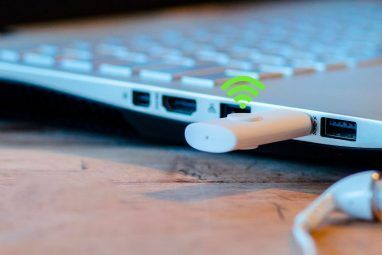 You are making a great decision and once you experience WiFi at home you will never want to go back to being tethered to a Ethernet cable How To Make Your Own Ethernet Cables How To Make Your Own Ethernet Cables Read More . There are many advantages to having a wireless network over just a wired home network. You can still plug machines into your router via an Ethernet cable but you also gain the additional benefits of having a wireless network. There are a lot of things to take into consideration such as security, widest range and best speed. 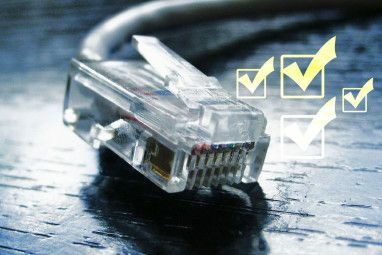 MakeUseOf has done a Networking Guide in the past and it will be a good starting point for you. The wireless router gets connected to your Internet modem and servers out your Internet to connected computers. Wireless networking has come a long way since I first set up my 802.11a network about 10 years ago. To begin we will need to take an inventory of what equipment you have and then see what you will need to purchase. Let’s make a list of computers and what type of wireless adapter they have in them. So my fastest machines have a N adapter in them and my slowest has a B adapter in it. So I would want a wireless router that can handle 802.11N as well as be backwards compatible to 802.11B. If I wanted to save money I could find a 802.11N router and not be able to achieve the fastest speeds on my 802.11N machines. This router has multiple radios meaning it can serve multiple machines at the same time. It is also very high tech looking! 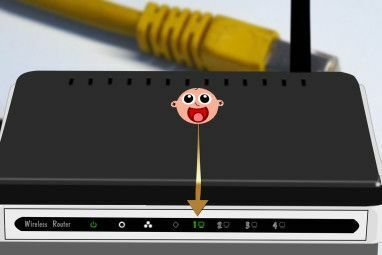 The router comes with four Ethernet ports so you can connect it to your Internet modem. Now we need to assess where the computer will be and find a middle ground to set up the router. You want the router to be in an area that does not block either antennae. Their path should not be hindered, placed near electrical equipment like micro-ovens or cordless telephones and not be in a room that is closed off. This may take some trial and error and you will probably want to first try setting up somewhere near your Internet modem. Setting up the router is a breeze. Most modern routers (this one included) comes with a setup CD. You simply pop the CD into your computer that has the Internet. Chances are you will be directly connected to your modem. The CD will then have you unplug your computer from the modem and connect the router to the modem. You can then plug your computer into the router to continue setting it up. Most routers are set up to be 192.168.1.1 but some of them use an IP of 192.168.2.2. Your set up utility should tell you what your URL is to access your setup. Below you will see the set up page from my Wireless G Linksys Router. By default there will be NO SECURITY – this is a NO NO! 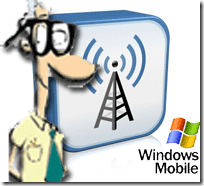 You will want to enable WPA or at a minimum WEP. Both of them can be hacked but then so could your dead bolt. Some security is better than none! Once you set the security on the router you will want to rename your SSID. That is what your wireless network will be called. Then you will connect to your wireless router from each client and configure the same security that you set up on the router. That’s it! You now have your very own WiFi network! You can print wirelessly by sharing out a printer How To Make A Printer Wireless How To Make A Printer Wireless Read More , check recipes in the kitchen or stock quotes in the backyard. Go ahead and pat yourself on the back! Good job. If you have any problems setting yours up, let us know in the comments and we’ll see if we can help. Explore more about: Computer Networks, Ethernet, Router. Hi. Fairly recently, a friend of mine installed AVG 9.0 on my machine that he'd downloaded from a P2P site. (Iknow, I know...should've known better! )Protected and happy all was okay. I should have guessed the company would click sooner or later, as I got a message yesterday stating they couldn't find my 'key'. After reading post on f/b last night I decided to uninstall AVG and try another. I have a wirless network so my daughter can use her laptop upstairs. She can use the laptop but the pc wont connect to the net. Device Manager states problems with drivers (miniport drivers (?)) Help please? I also change the default IP address to something different than the 192.168.1.1, like 192.168.25.4. I have run into 2 instances where the DSL/Cable Modem had the same IP address which created problems. I also make sure the password is changed from the default to one of my choice to access the AP/Router setup. It is very easy to find the default login info on the net. Recently, I rebooted (not restart) my Dell 4600. It still has the thing (not sure what it's called) that goes in the slot with the antenna sticking out; Belkin is the brand name. Um, I tried to connect to my router but just can't seem to do it. Am I supposed to install something (I forgot if the Belkin came with a CD to install). Everything else is able to connect to it (this laptop that I'm on for one and we didnt have to install anything on it). thanks. Here is a useful tip for beginners. I've noticed that once in a while there might be a computer on the new wifi network you set up that just won't connect properly, especially after you enable the WPA security and turn off SSID broadcasting like Karl mentioned above. Luckily after you set up/connect the first computer, most routers have a tool that allows you to simply copy a settings file to your usb drive from the first computer. So for the rest of the computers on your network, all you have to do is insert your portable drive and double-click the settings file. That's it, you shouldn't have to enter any more info, not even the wifi security password. A trick I used is to set up an Ad-hoc network and share the ethernet connection. in windows 7: open ur adapters setting, select both your Local Area Connection (with internet connection, of course) and your wireless modem (unconnected) and right click on them, choose bridge network. There will be another connection coming up, named "Network Bridge"
Now right click on your ethernet connection, go to the "Sharing" tab and make sure both boxes are checked. After that, right click on the ethernet connection and choose "Remove from bridge"
now create an adhoc wireless network, make sure your wireless network says "bridged" and your ethernet connection says "shared". You can use this network for your iphone as well :D and theres no need to buy another wireless router. I used a tool called connectify for a while to do just that but it not only eats up a good amount of cpu cycles when the other computers are doing heavy downloads but i had to keep my computer on nonstop. for $40 dollars i would just skip the hassle and buy a cheap router. but i do still use connectify for trips.